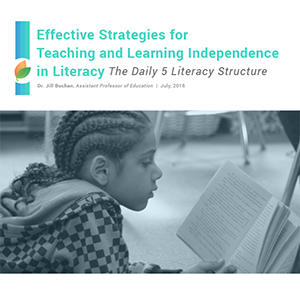 Students of research themselves, Gail Boushey and Joan Moser created the Daily 5 to ensure that each student in every class experiences the best possible environment for learning literacy and independence. Boushey and The 2 Sisters team continue to refine this method through their school-based work and as more becomes known about children’s brains and how children turn new learning into habit. Share with colleagues, parents, and school leaders.